One of the best bits about the HTC newly unveiled smartphone lineup that we saw at the MWC is undoubtedly the screens of the One S and the One X. The displays of both new flagship droids of the Taiwanese company represent a major step forward, compared to their predecessors and we imagine you are as curious as we are to learn more about the underlying technology. Fortunately, the guys from BestBoyZ managed to get their hands on the two and put them under a microscope to examine what was going on beneath the surface. There were a couple of interesting findings to be noted. 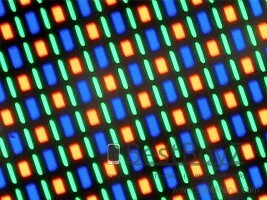 It turns out the HTC One X HD SLCD2 uses virtually identical matrix to the one found on the LG Optimus 4X HD. That's the same AH-IPS screen we loved so much on the LG Optimus LTE and it's hardly a surprise it led to some great results on the One X. The curious omission of the IPS technology from the One X official specs sheet was explained with trademark reasons. 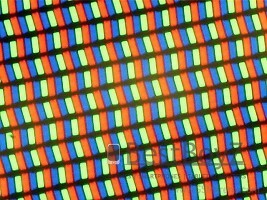 As for the HTC One S - we got confirmation that its qHD Super AMOLED uses a PenTile RGBG matrix, instead of a conventional RGB matrix. This will probably lead to the familiar dottiness in some images, but it seems HTC has designed its interface cleverly enough to make that less apparent. We spent quite some time with the One S at the MWC in Barcelona and we weren't bothered by the missing sub-pixels at all. Here’s hoping this won't change when we get the smartphone for a full review. Email me when u got to test these things. wanna know what is better for watching movies. 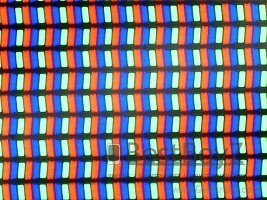 lg or htc screen? yellow or da blue thingy. thanx dude!